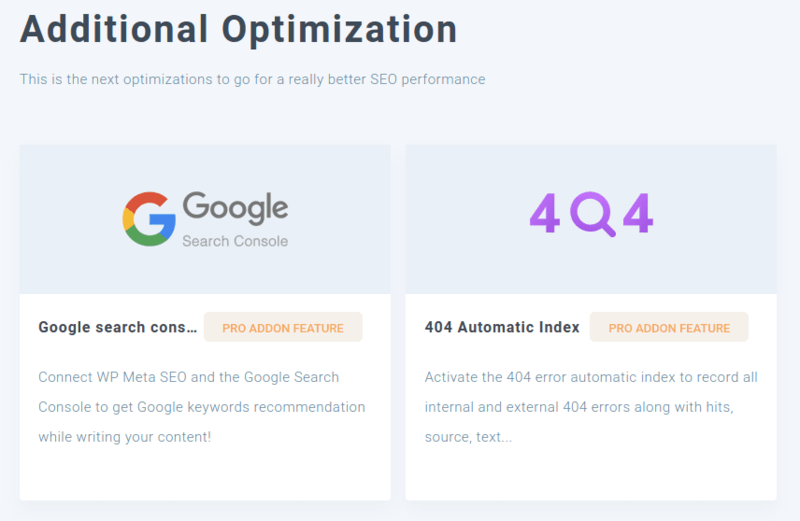 Optimizing your blog’s search engine ranking has one clear meaning - improving your website’s performance to drive traffic from Google, Bing and other search engines. Yet at the same time, it means many things all at once. SEO means analyzing search engine performance. It means finding and fixing broken links, having a functioning sitemap and filled-in meta data. SEO plugins cannot do this all on their own, but a good companion should make it easy to identify problems. And that is where WP Meta SEO comes in. The WordPress plugin recently celebrated a new major release. In version 4.0, the focus turned exclusively towards an improved user experience that prioritizes SEO management. The status of a website’s SEO is not always as complex as it seems. It can be summarized as a set of loosely-connected settings that contribute to a common cause. Finding the root of problems is more often an issue than resolving them. 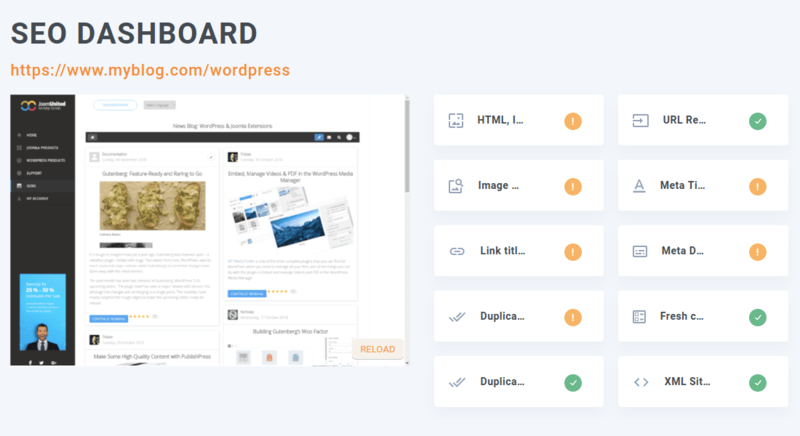 The new user interface of the WordPress plugin rounds up all the things that can go wrong - or right, for that matter - with SEO in a single dashboard. The overview lists the main areas of SEO, pointing to their correctness, or any issues that are plaguing them. Up top, the dashboard groups the most essential of SEO settings next to a preview of the homepage. Anything from image optimization to metadata finds a place in the SEO digest that WP Meta SEO presents. Functioning aspects are accompanied by a green tick, whereas settings that need tweaking come with a descriptive warning sign. If you are ever in doubt about what is wrong, hovering over the signs should clear things up - the panels come with tooltip help to facilitate resolving problems. The bottom section of the dashboard is dedicated to the finer side of SEO. For example, the Google Search Console area allows you to connect the namesake service with WordPress. Other automated tasks, like the automatic indexing of 404 pages take some tasks away from your plate. Despite all good intentions, 404 errors always seem to make their way into any WordPress blog. An innocuous change or an external site changing its structure is all it takes for one link to break. Looking up each link to check up its status is infeasible. Now, it is also redundant thanks to WP Meta SEO’s redirect manager. The redirect manager is located in the 404 & Redirects page of the WP Meta SEO menu. The page provides various distinct options. The centerpiece functionality is the broken link management, which supports searching and filtering. 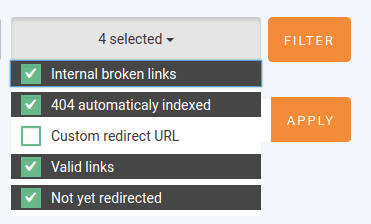 It all starts from the press of a button - the Index Internal Broken Links button. We hear you - sometimes, indexing can take an unpredictably long time, especially when the WordPress blog grows. In line with an all-round improved user experience, indexing is accompanied with a progress bar so you can go and grab a coffee while it does all the work. If it hasn’t broken, don’t fix it! The problem is that in an average WordPress blog, there could be hundreds of links, most of which are operating perfectly fine. The filtering facility has been revamped to isolate those links that need your attention the most. The options are now nestled next to the filter button in a dropdown menu that remembers your choices for next time. And while broken links need tending to, sometimes there are groups of links that need to be redirected at once, such as when resources are moved to a new subdomain. The custom rules have a new home in the add custom URL or rule button, but the functionality is unchanged, including its support for wildcards. More often than not, SEO problems are as much as identifying them as they are about resolving them. The fourth major update to WP Meta SEO gives a bird’s eye view of the issues, as well as what is working on your WordPress blog, providing you the keys to solving issues and peace of mind.